For some of us, the summer vacation is not quite over, there are a few days left. Kids are back and hopefully over the jet-lag. How can we make the most of these last moments if we are trying to hold on to this vacation feeling. Let’s pretend we’re just visiting Hong Kong. Here are a few ideas of things the tourist in us will enjoy with the children. I-discoverasia and the Hong Kong Maritime Museum have partnered to offer a great family treasure hunt in Sheung Wan. The next hunt is on Sunday, August 30. After downloading the free app, follow the map, discover a side of Hong Kong you’ve never suspected existed, collect your stamps and get a little gift at the museum. Of the various points of interest, kids will marvel at those ancient letter-press printing techniques that look more like “baking cards” and “3-D printing from another age” at the Kwong Wah Printing Company (45 Sai Street) and browse with excitement at old Hong Kong comics at Ng Hing Kee Shop (G/F, 68 Lok Ku Road). You’ve lived in Hong Kong for a while and you’ve never actually set foot in any of its many temples. 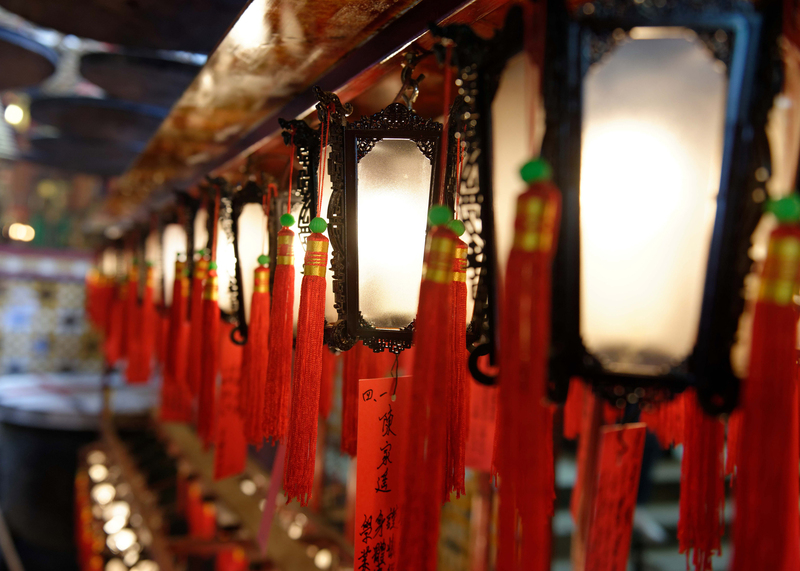 Maybe it’s time to open the door and get a feeling for Hong Kong’s rich religious beliefs. A combination of Buddhism, Taoism, the cult of the ancestors and local deities, temples show a fascinating side of Hong Kong daily life. It’s a place where you might see students making sure that the gods are on their side prior to exams, elderly people paying their daily respects and trigger-happy tourist trying to catch that perfect shot of the light passing through incense coils. Man Mo Temple in Sheung Wan is beautiful but if you feel more adventurous, you can visit Wong Tai Sin, the largest Taoist temple in Hong Kong where a fortune-teller may give you clues about your future. The Museum of History of Hong Kong is a great place to visit with the kids. Children never tire of the reconstitution of the old Hong Kong streets with specialty shops. These days, however, beyond the permanent exhibition that you might have already seen, the museum is working on an exciting project: the gathering of old toys in Hong Kong. The Museum is preparing an exhibition scheduled to take place in 2016 using toys through the ages to show Hong Kong’s economic development. 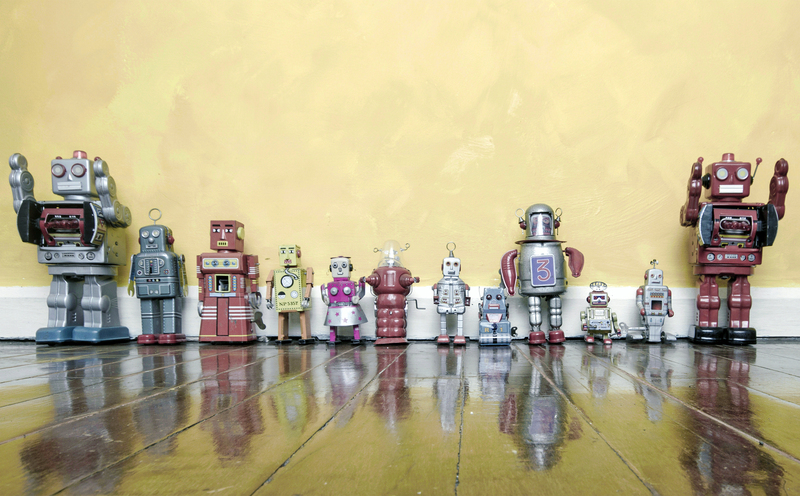 Wouldn’t it be fun to participate and donate your old toys to a museum? Check the site of the Museum of History for more details. Hong Kong’s beaches have a bad reputation: they are dirty. Their dire condition is all the more striking after a summer spent on the most pristine beaches of Europe or Asia. As much as we avoid swimming with the family in Hong Kong, we sometimes give in and spend a day at the beach. There is a way to find out where to go to avoid the pollution by checking the water quality for swimming on the Environment Protection Website of the Government of Hong Kong. One of our favourite swimming spots is Cheung Sha beach on Lantau. For non-Lantau resident, you need public transportation or a taxi from the Mui Wo Ferry Pier. 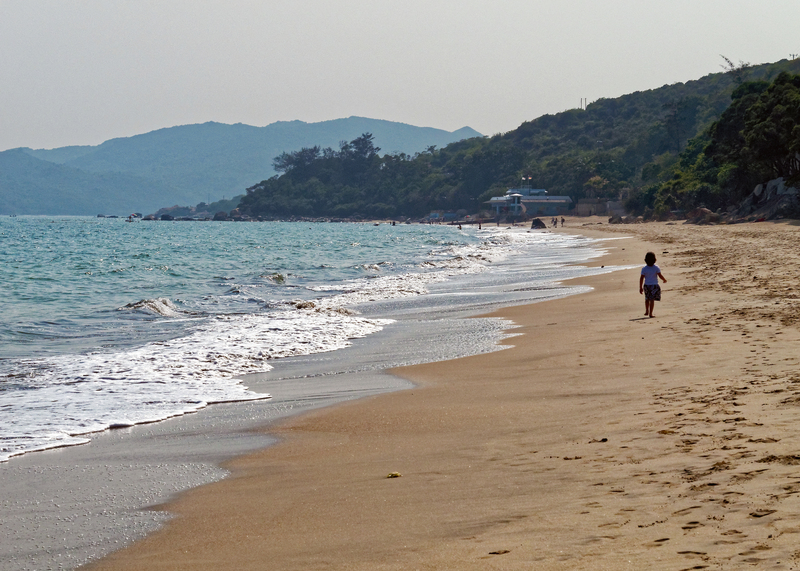 The beaches – it’s actually three beaches: Cheung Sha Upper Beach, Cheung Sha Lower Beach and Tong Fuk Beach are located on a long stretch of fine sand. You still have time to build a last sand castle this summer. Practical Tip: From Mui Wo Ferry Pier Bus Terminus buses 1, 2, 4 and A35. The bus will take you along South Lantau Road and stop at Lower Cheung Sha Beach (in about 20 minutes), Upper Cheung Sha Beach and Tong Fuk Beach. 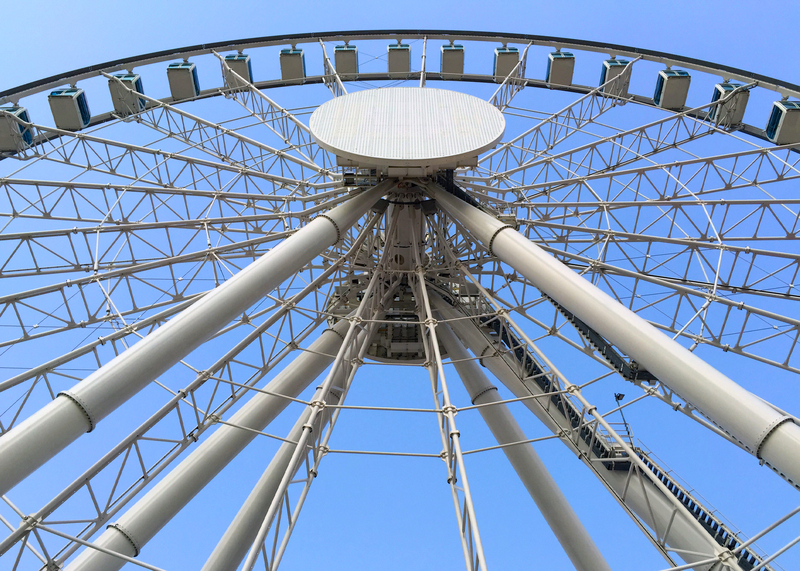 If you haven’t had a chance to ride the newly opened Hong Kong Observation Wheel, now is the time. The ride is more or less 15 minutes and provides great views of the Hong Kong skyline on both sides of the harbour. Check the Hong Kong Observation Wheel site for more information. Feel free to share additional ideas for our last days of August on the comments section below. I love it! A great idea. I will look for it next time when I come to H.K.